The Ancient Druids and the Mystic Krewe of Nyx will roll back-to-back by the Parade Cam lens Wednesday, Feb. 27, 2019. Parade Cam will go live at 6:30 p.m. and will broadcast each parade from start to finish. The Ancient Druids is an all-male parade with 200 members. 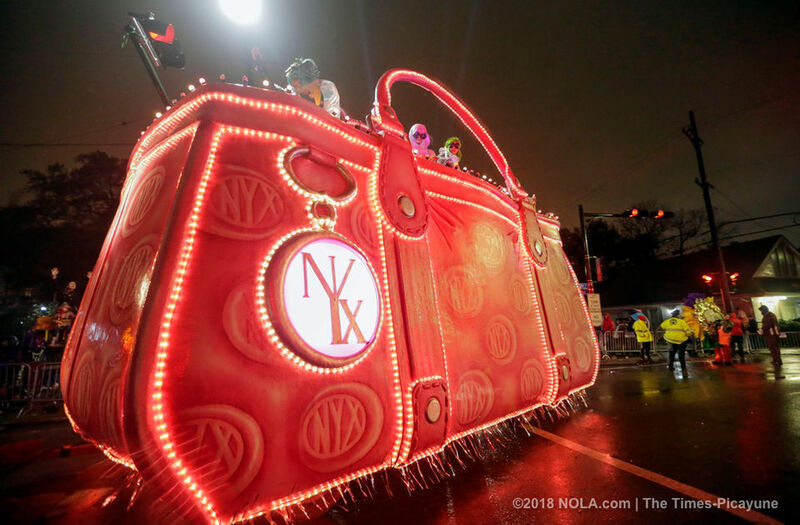 Watch the Mystic Krewe of Nyx roll on the Uptown route on Wednesday (Feb. 27) at 7 p.m.
Last year, 3,348 women rode in Nyx, an all-female superkrewe, so expect this parade to be big! 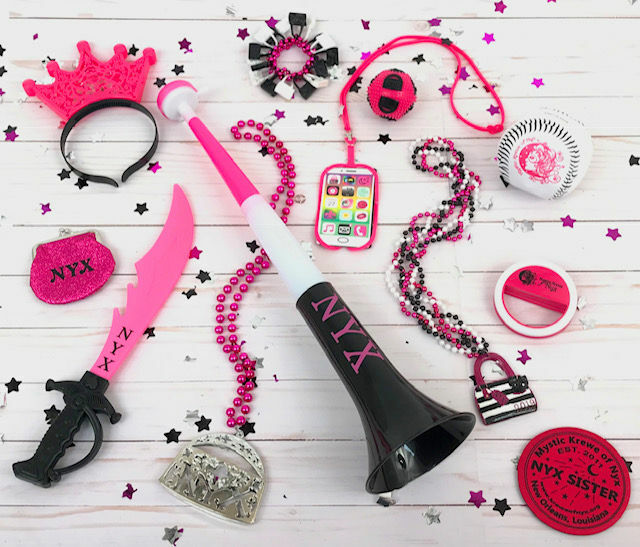 The signature throws for Nyx is purses. Other throws will include fanny packs, purse medallion beads, tuts, socks, hula hoops and hair scrunchies - all in the krewe’s signature pink and black. Nyx starts rolling immediately after Druids, which will be around 7 p.m. CT.
With 3,348 riders, last year’s all-female Nyx parade was reportedly the biggest ever.